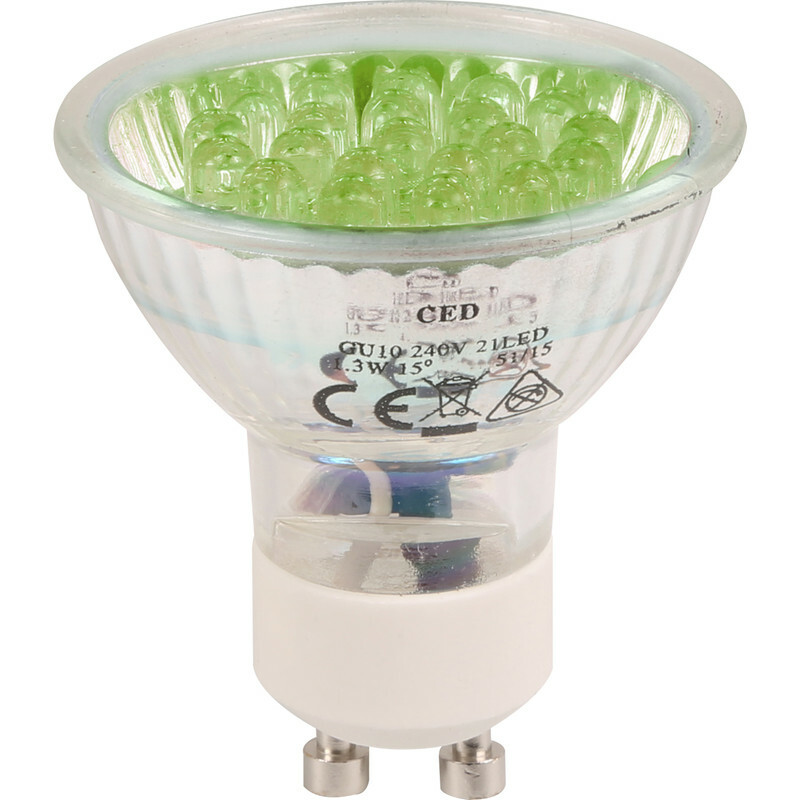 LED Glass GU10 Lamp Green is rated 5.0 out of 5 by 12. 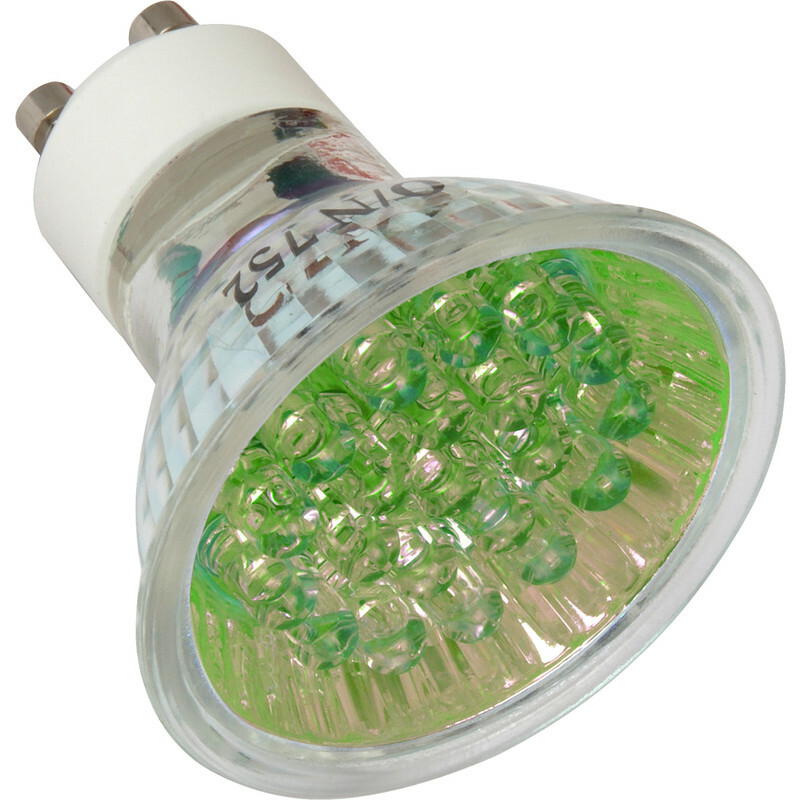 Rated 5 out of 5 by lakeman from Great product at a very keen price We've used these in some of the up and down lights we also purchased form Toolstation. Very pleased with them. Rated 5 out of 5 by Soundman32 from Very blue Bought 9 of these to go around a hot tub, to match some blue brick lights. They look great. Not too bright (no planes landing yet) but enough light to find your way around in the dark. Rated 5 out of 5 by BPTCP from Good nightlight Used as a separate cct for customer requiring a night light in the bathroom. Works very well. Rated 5 out of 5 by BigRgyll from A lovely Bue Glow I bought the blue bulbs to put in 2 lamps in our Sun Room for Christmas time. With them being low wattage, they give off a lovely delicate light. When that hits the white PVC interior of the Sun Room, the whole room is bathed in a Lovely Blue Glow. If you want them to light up a room, forget it, but for mood lighting, they're spot on. Rated 5 out of 5 by Chrs from A low power red light Used these to create a red glow in a fireplace they are excellent if you don't need anything too bright they have been in continuous use for over 2 years so bought some more to have spares to hand.